Rent an Allen & Heath GL2400, a terrific sounding 24 channel mixing console. The Allen & Heath GL2400-24 is a state of the art, 24 channel mixing console with six aux sends and a 7x4 matrix. 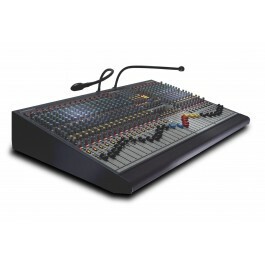 The Allen & Heath GL2400-24 features everything you need to mix a full band and includes direct outputs for recording.